A heatwave is sweeping the Iberian peninsula bringing extreme temperatures to Portugal and Spain. By Saturday the thermometers in Portugal could be hitting 45 degrees Celsius and it will be just a degree or two cooler in Spain. "The direction given to the security forces is that, in their supervisory activity, the tolerance should be zero in relation to any risky behaviour," said Eduardo Cabrita. There had even been suggestions that temperatures could reach 50 degrees Celsius in a couple of places but meteorological experts have since clarified that there was a technical error in the measurements. 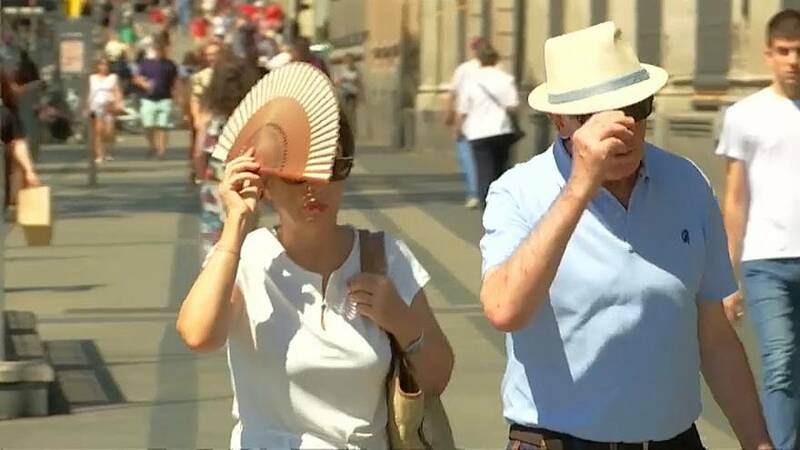 In the case of Spain, the areas most affected by the intense heat will be Extremadura, Castilla La Mancha, Andalusia, Madrid and the Ebro Valley. Health experts are warning of the need to drink plenty of water, and they also advise avoiding exposure to the sun as much as possible, as well as taking special care with children, elderly people and sick.